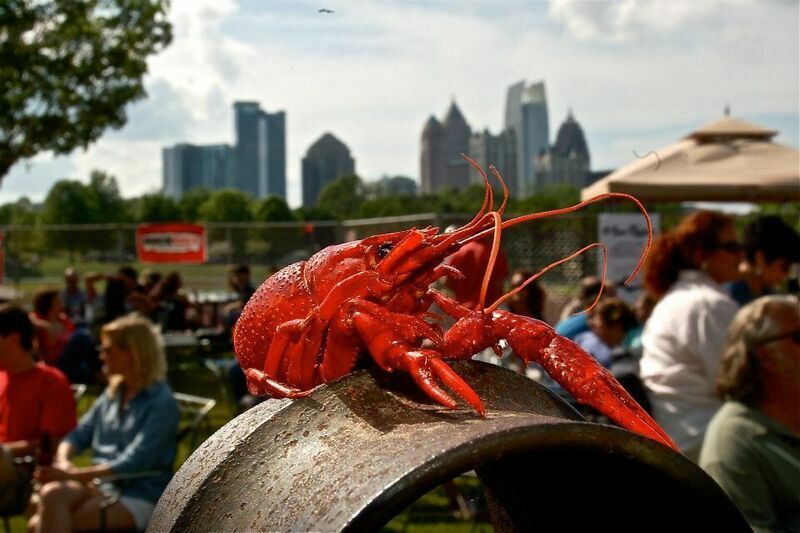 For the past 14 years, thousands of music and food loving festival goers gather annually at Park Tavern in Piedmont Park to celebrate the Oyster Crawfish Festival. Bringing the taste and flair of New Orleans to Atlanta on Saturday, March 3, 2018, Park Tavern will once again serve up approximately ten thousand pounds of fresh Louisiana crawfish that are brought in the night before – making it Atlanta’s biggest crawfish festival. Conveniently located on the Atlanta BeltLine in the heart of Midtown, Park Tavern will also serve fresh, regional fried, raw, and steamed oysters, shrimp, and chicken baskets, along with Sierra Nevada Brewing Company and Red Stripe, handcrafted cocktails and more. Captivating audience everywhere, Blair Crimmins & The Hookers will take the stage to get the crowd going with their jazz and ragtime pizzazz. Taking the stage at 8 p.m., the hard-hitting band out of New Orleans, Cowboy Mouth, will once again fill the headliner spot for the annual spring festival, serving up fans their unique style of ‘rock and roll gumbo’ and an unparalleled electrifying performance that promises to be unforgettable. General Admission $15: does not include food or beverage, but both are available for purchase. VIP Admission $50: grants access to a special VIP entrance, a private bar, VIP seating with tables and chairs, private restrooms, and a meet-and-greet with Cowboy Mouth after the performance. VIP does not have a direct view of the front of the stage and does not include food or beverage. The festival begins at 2 p.m. This event is rain or shine. For more information, visit www.parktavern.com.